O Lord our God, we lift up our hearts in thankfulness unto thee for the love of our family circle, which makes us one in harmony and in peace. By thy grace we now enter our new home and we affix the mezuzah as a sign of of our dependence on thy providence. Continue to bless our home that it may ever be hallowed by mutual love and understanding. 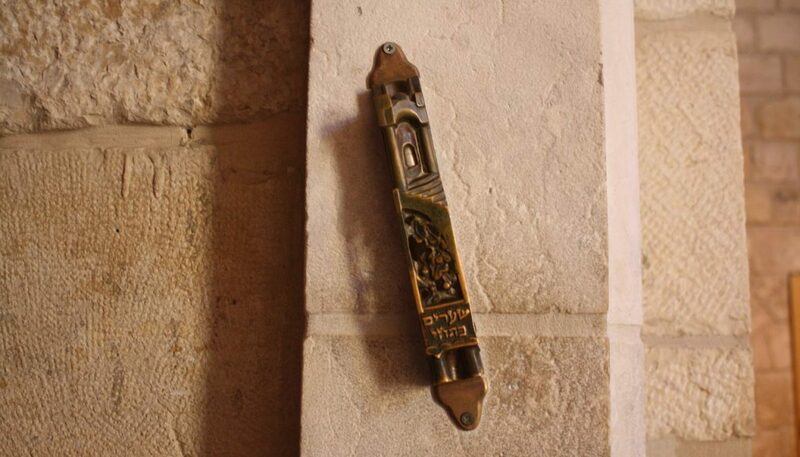 May the mezuzah remind us that thou are our Father and that we shall find peace by loving thee with all our hearts, with all our souls and all our might. And may our love for thee also inspire us to love all Thy creatures everywhere, whom thou didst fashion for thine own glory. Amen. In the home, the Birkat Habayit blessing is traditionally hung on the wall next to the front door or next to a window. It is meant to drive any evil spirits out of the house and protect the occupants within. Besides bringing a blessing upon your house, they are also seen as brilliant works of art.